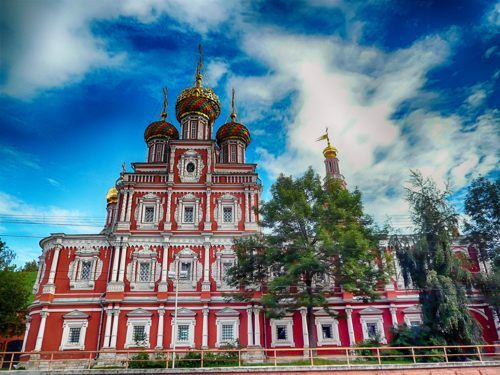 Nizhny Novgorod is a fantastic city with plenty of churches and cathedrals, monuments and statues, architectural buildings, historic walking areas, arenas and stadiums, sacred and religious sites, and many other points of interest and landmarks. Before you rent a chauffeured driven in Nizhny Novgorod and welcome your tourists, make the schedule for at least several days. Nizhny Novgorod is a too-beautiful city to explore in a day or two. 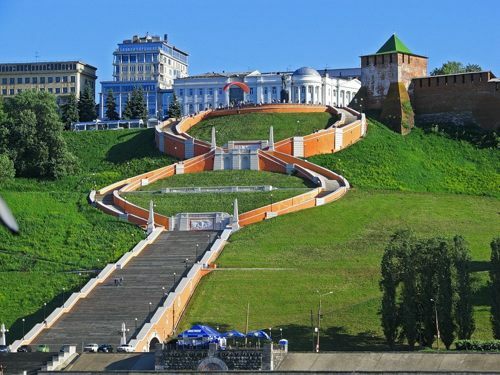 Make sure you have included in your plan such tourist sights as Chkalov Staircase, Bolshaya Pokrivskaia Street, The Kremlin, State Bank, Chkalov Monument, Cathedral of St. Alexander Nevskiy, Monument of Minin and Pozharsky, Cathedral of the Blessed Virgin Mary, Dmitriyevskaya Tower Museum and some other memorable sights. It is rich with monuments and buildings that have significant historical importance, as well as museums with impressive collections. All this together with ultra-modern entertaining facilities are delivered in surprising harmony. Novgorod is a fantastic city to welcome large groups of tourists, so if you are planning to organize tours in the city for foreigners, 8Rental is here to offer its help in the passenger transportation. Undoubtedly, you will need to book a large bus with a reliable driver and who if not 8Rental can meet and even exceed your expectations?! Here are what you will get by entrusting the transportation of your passengers to this reliable coach rental with driver in Nizhny Novgorod. 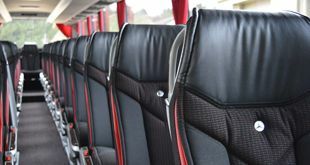 8Rental is the coach and chauffeur supplier which has earned the reputation of one of the bests in the industry of passenger transportation. The service is highly responsible when the matter concerns satisfying the needs of its clients. The 24/7 customer support is ready to answer all your questions concerning the coach rental in Nizhny Novgorod. Getting a quote from the service and filing it out, your application will immediately proceed.8Rental cares for all its customers and provides them with health insurance as long as they are driving in the coaches provided by the service. Besides, the fuel is offered entirely for free! 8Rental accepts different methods of payment. 8Rental has some of the most spacious coaches in its fleet. Depending on how many guests you are welcoming in Nizhny Novgorod, you can rent a respective bus. A Mercedes Sprinter is a fantastic choice for transporting up to twenty-four passengers, while Mercedes Tourismo is designed for accommodating as many as sixty-five people at the same time! Isn't it impressive? These and all other vehicles offered in the company's fleet are equipped with everything necessary for your tourists to feel utmost comfortable during the entire tour. 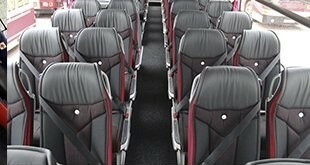 Air conditioner, CD and DVD players, toilets, heating, refrigerators, hot drinks facilities with filtering coffee machines are only a part of what your passengers will get by driving in Nizhny Novgorod in one of these premium coaches! Being in excellent condition, our vehicles will are 100% reliable! When hiring a vehicle, it's crucial to make sure the driver not only has a driving license but can fully be trusted on the city's roads. Hire a coach with driver from 8Rental and don't worry about anything but enjoying the beauty of Nizhny Novgorod. 8Rental trustworthy drivers are real professionals who can meet your guests right at the airport or in front of the hotel and drive them in the necessary direction. By booking a vehicle from our service, you are the one who tells the rules! The coach and the chauffeur you hire are at your full disposal as long as you have stated in the quote! By the way, 8Rental offers not only Russian speaking, but also Dutch, French and English speaking chauffeurs.